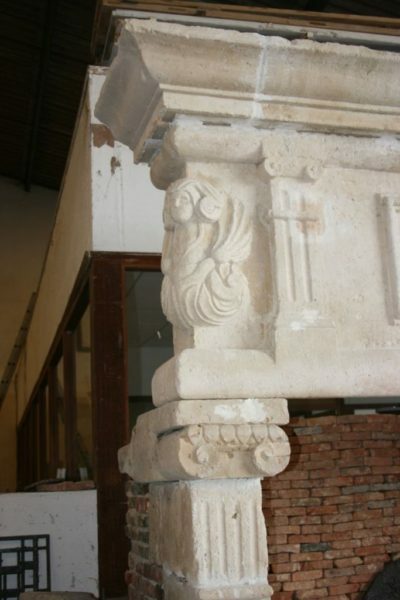 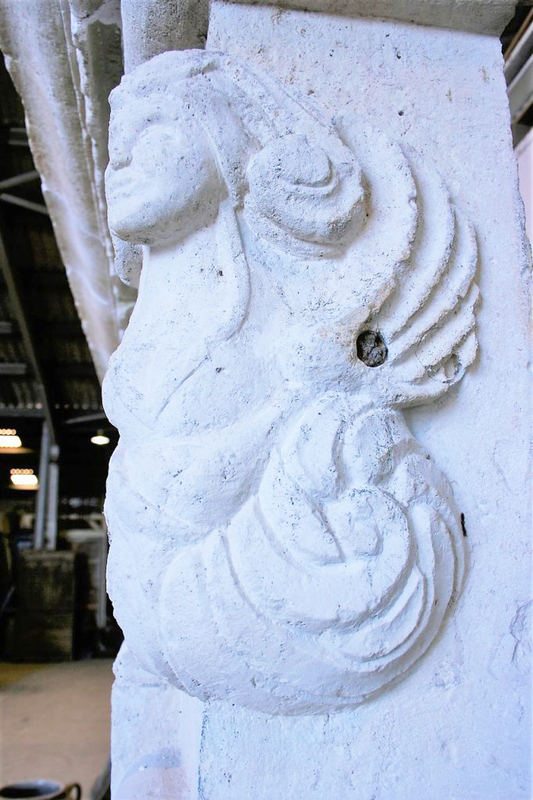 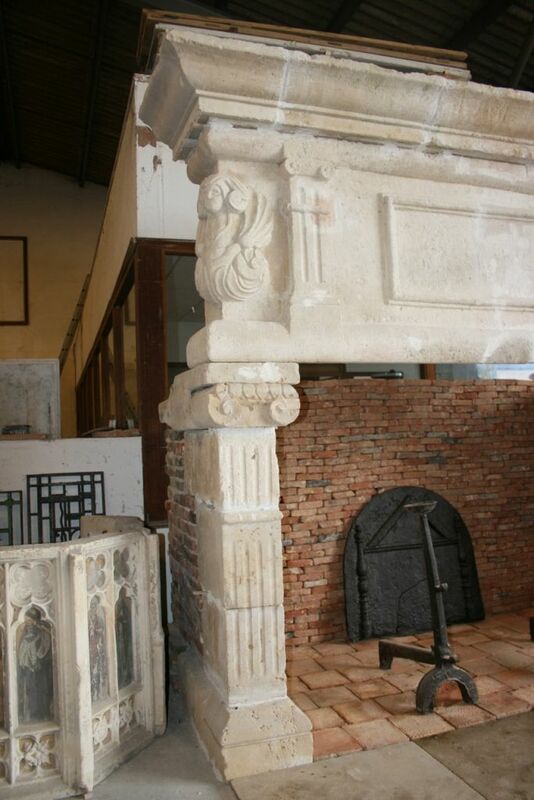 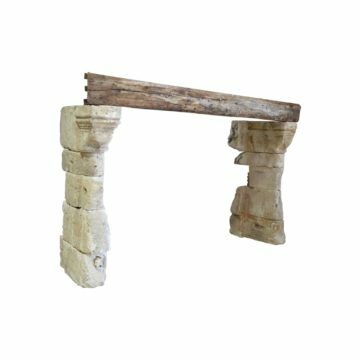 Monumental antique French Renaissance fireplace. 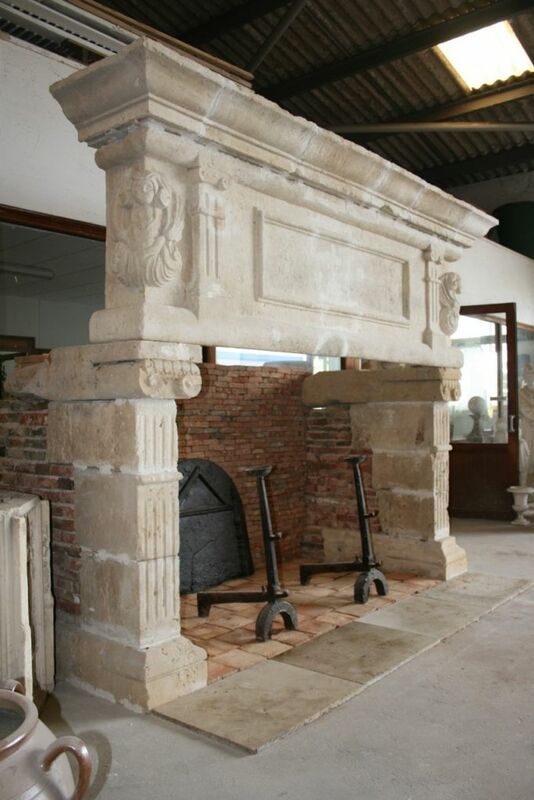 This chimneypiece is presumed to be authentic 16th century French Renaissance, period influenced by the Italian Renaissance with imposing Classical features. 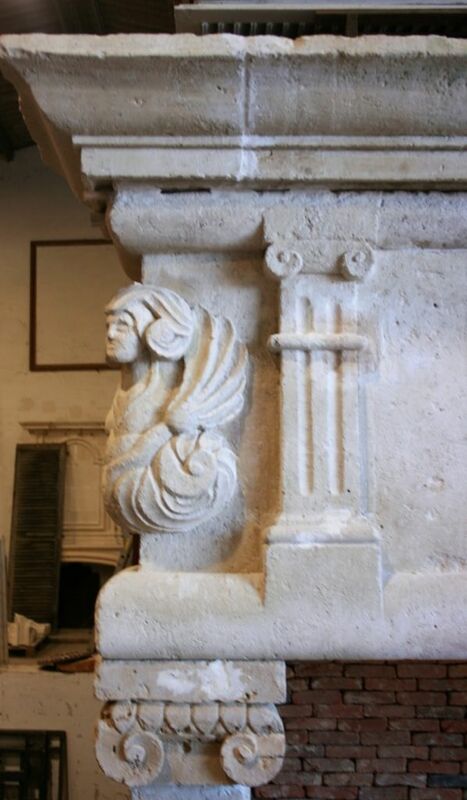 This extraordinary fireplace has Ionic Order canellated carvings to side jambs and overmantel. 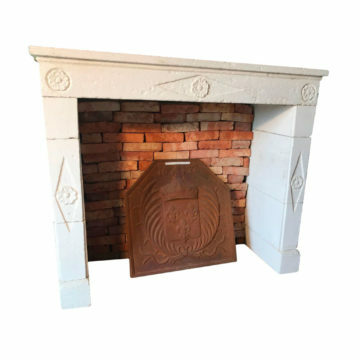 Fireplace : overall height 2500 mm x overall width 2860 mm. 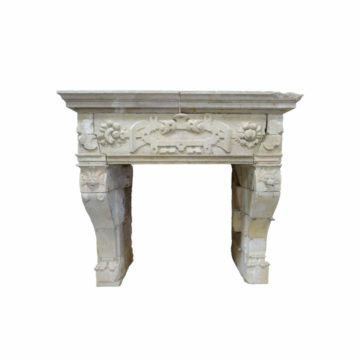 Firebox : height below lintel 1440 mm x width between side jambs 2200 mm. 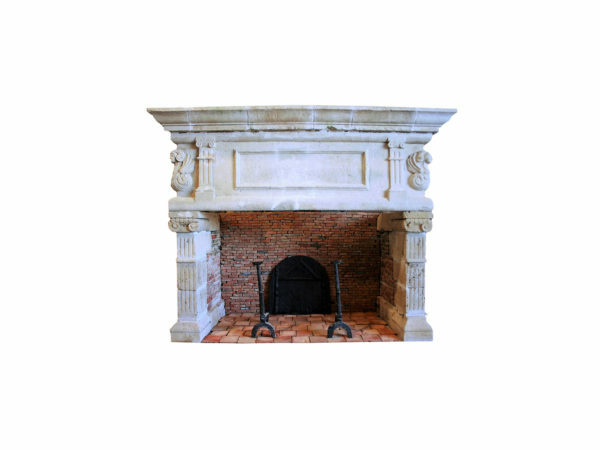 Fireplace : overall height 98.5 inches x overall width 113 inches. 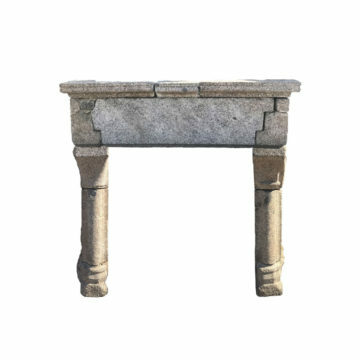 Firebox : height below lintel 57 inches x width between side jambs 87 inches.